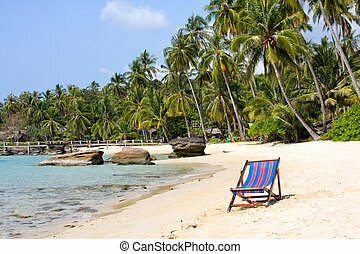 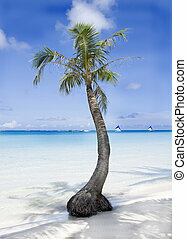 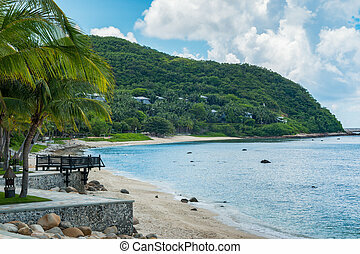 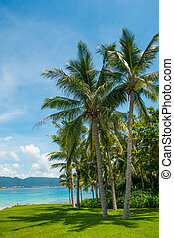 Beautiful tropical beach with palm tree and sand. 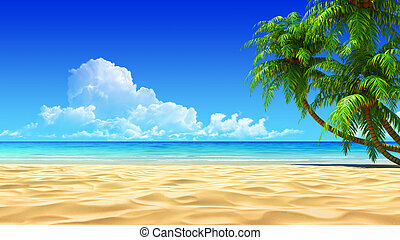 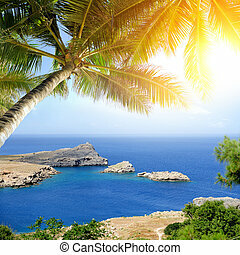 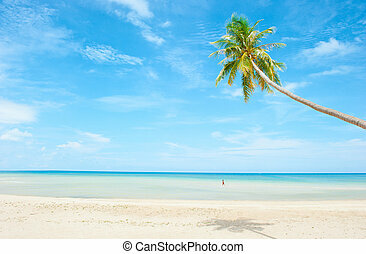 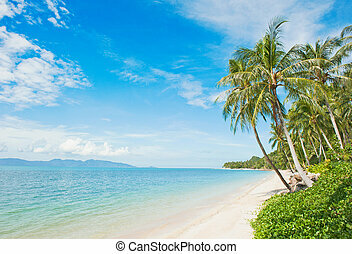 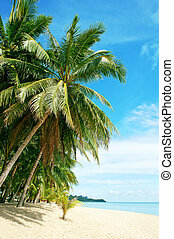 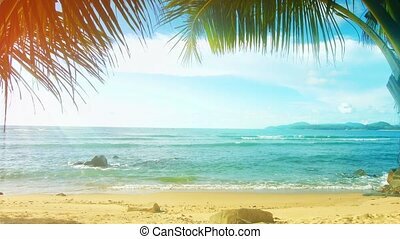 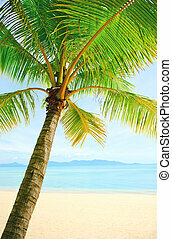 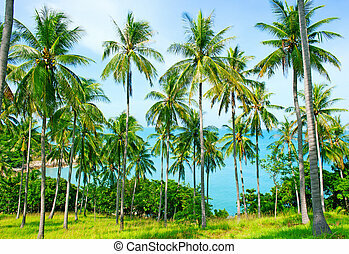 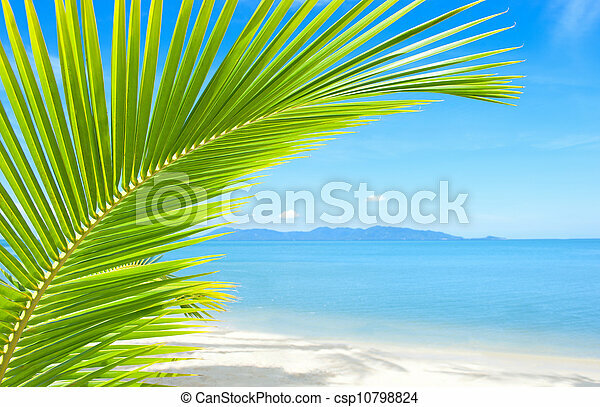 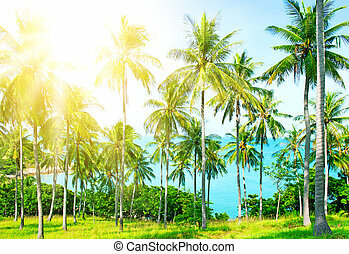 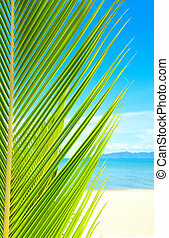 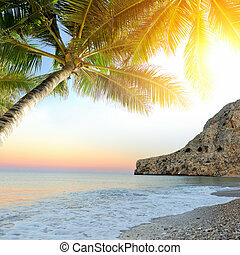 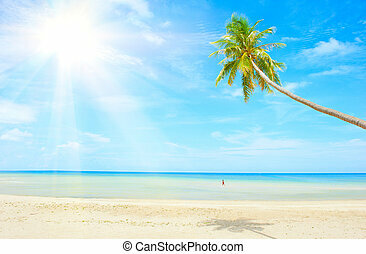 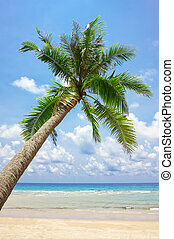 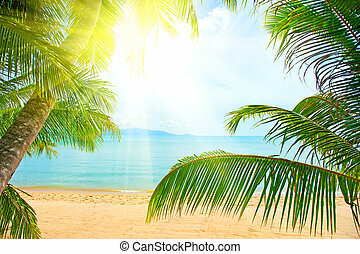 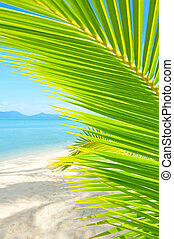 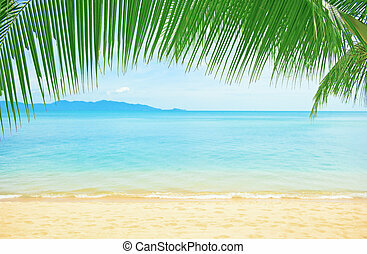 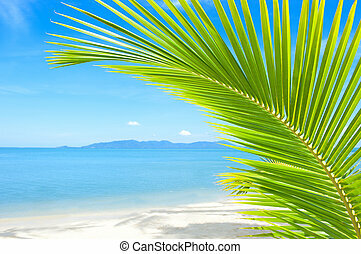 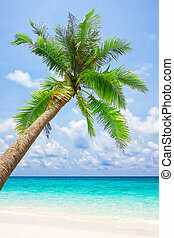 Tropical beach with palm tree and sand. 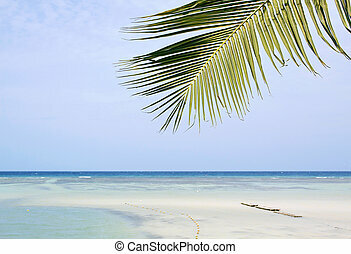 Tropical white sand beach with palm trees. 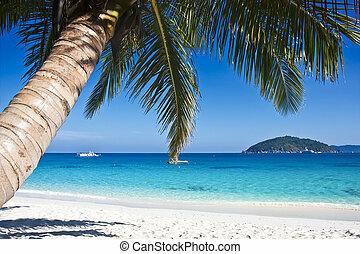 Similan islands, Thailand, Phuket. 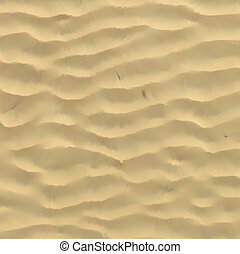 No noise, clean, extremely detailed 3d render. 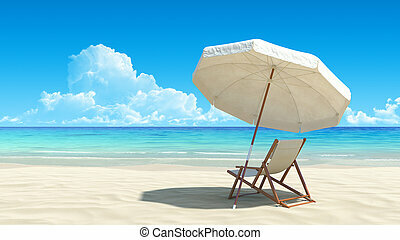 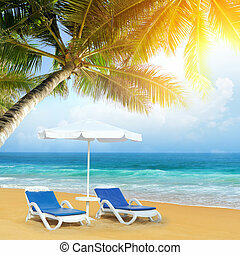 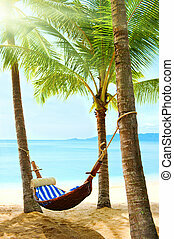 Concept for rest, holidays, resort, spa design or background.